I think the fun part of the Reverse Advent Calendar is deciding who or what will benefit from your 24 days of giving. Just like your daily gives, your Reverse Advent Calendar starts with one of the 365give giving categories – people, planet or animal. We have a few ideas to get you started this December and have added some daily giving suggestions. Ready? 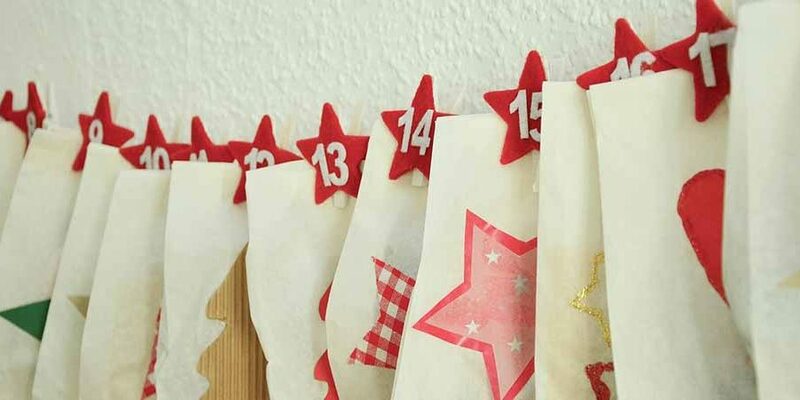 Lets see if any of these Reverse Advent Calendar ideas resonate with you! I have a soft spot for seniors, a really big soft spot. Weekly I make sure that I do two daily gives that benefits a senior I know, or in some cases don’t know. The joy I get from listening to stories seniors have, or helping them with simple tasks that have become difficult, to bringing over homemade cookies and banana bread is immense. Seeing the smile on my seniors faces when someone has taken the time for coffee, or just drop by to deliver my fresh baked goods makes my day every time. For me it is natural to think of seniors for my Reverse Advent Calendar. Use these ideas to fill your Reverse Advent Calendar box that can be delivered to a local seniors home. Create some fun art pieces using recycled items from around the house. These flowers from Plastic bottles are great! My kids this year have chosen this option for our family Reverse Advent Calendar. Here are some great ideas that will get you started! Find an environmental organization that you are passionate about. Everything you do for the next 24 days will directly go to this organization and benefit the planet. It is true and we all know it. The Reverse Advent Calendar is proof that making a focused 24 days of giving over the holidays brings more joy, happiness, and health to your family, your office or community organization. Doing this as a group makes 24 days of giving a breeze and helps out someone, an organization or a family who could use a concentration of joyful giving. Happy Holidays and Happy Giving! Give the Reverse Advent Calendar a try! Check out our other blog posts The Advent Calendar That Keeps on Giving and Create Your Reverse Advent Calendar that explain the Reverse Advent Calendar and how it will bring joy to so many over the holidays. Get Ready – Reverse Advent Calendar starts in Two Days!